Anna Dimitrova joined IIASA in January 2018 as a Research Assistant in the World Population (POP) Program. She is currently contributing to the development of new indicators for long-term human well-being. Anna first joined the Wittgenstein Centre as a Pre-doc researcher in December 2016. 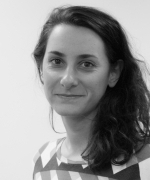 Ms. Dimitrova is also a PhD candidate at the Vienna University of Economics and Business (WU). She is interested in studying the interactions between environmental change and population dynamics. Her research focuses on the determinants of climate change vulnerabilities, as well as coping and adaptation strategies. Previous to joining IIASA and the WIC, Ms. Dimitrova contributed to research projects for the European Commission, Eurostat and the Committee of the Regions on monitoring and evaluation of sustainable development strategies in the European Union. She holds an MA in Economics from the University of Glasgow and an MSc in Socio-ecological Economics and Policy from the WU in Vienna. The Wittgenstein Centre aspires to be a world leader in the advancement of demographic methods and their application to the analysis of human capital and population dynamics. It is a collaboration among the World Population Program of the International Institute for Applied Systems Analysis (IIASA), the Vienna Institute of Demography of the Austrian Academy of Sciences (VID/ÖAW) and the Demography Group and the Research Institute on Human Capital and Development of the Vienna University of Economics and Business (WU).